Anthony moved to Richmond in 2014 to pursue his undergraduate degree at VCU. With his interest in medicine, Anthony pursued many possible career paths related to medicine. The catalyst for his passion for chemistry was when he studied organic chemistry and did his undergraduate research in the development of a Pt-drug specific for Zn Finger HIV-1 binding with Dr. Nicholas Farrell (VCU). In 2018, Anthony was awarded the ACS outstanding chemistry award at VCU when he finished his degree. Outside of chemistry, Anthony was heavily involved in Catholic Campus Ministries where he took on leadership roles and was involved in Camp Kesem by attending camp as a counselor for kids who have witnessed their parents going through cancer. Anthony’s interest in chemistry led him to graduate school at VCU because he wants to learn more how he can get involved with medicine through chemistry. 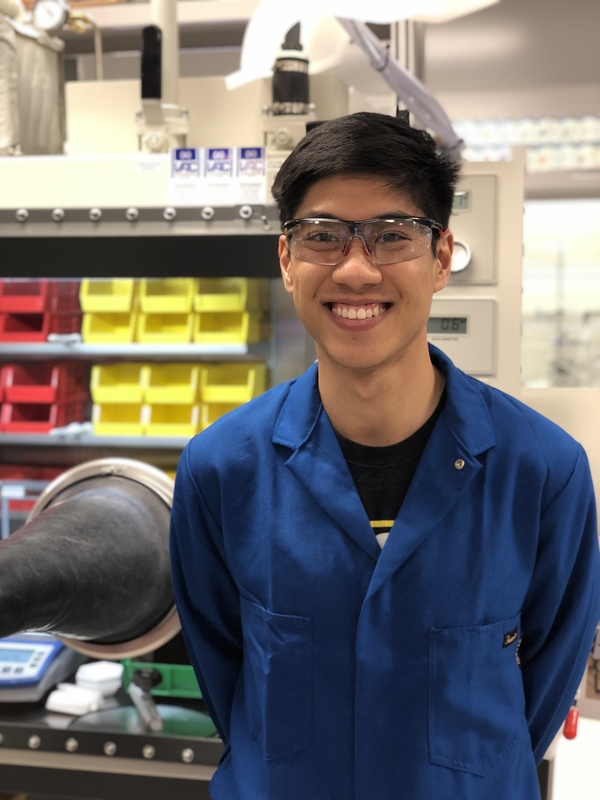 Anthony joined the Kelly group in 2018 where he is excited to be part of the Medicines for All initative as this relates chemistry to real life problems. Outside of chemistry, Anthony enjoys playing sports, guitar, cooking, and trying anything new. Website developed from Porto template @ themeforest.net by Christopher Kelly. The content of this website does not represent giving opinions or otherwise making statements on behalf of Virginia Commonwealth University or any unit of the VCU. Contact the webmaster (cbkelly@vcu.edu) for any issues with the site.